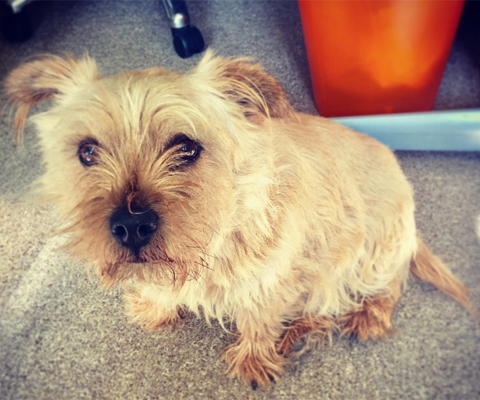 Chilli is a Norfolk Terrier who warms everyone’s hearts at integrated agency, Dupree Creative. Chilli is owned and employed by managing directors Julie and Martin Dupree. Amongst the hustle and bustle of the office, you will find it difficult at first to locate Chilli as he likes to spend most of his time under the desks. He may be Chilli by name, but he is nicknamed and well known for being the “little foot-warmer” by everyone who knows him. Lying in the sun, doing doggy yoga and greeting clients, Chilli spends his days chilling whilst everyone else is doing all the work. That is until the postman stops by and it is like Chilli is on the Crufts stage, bright-eyed and waggy-tailed. “I love when the postman comes to bring the mail and latest magazines, he always brings me a treat and gives me a bit of fuss. He comes to visit us every day, even at the weekends so I must be doing my job right” explains Chilli. Working predominantly in the outdoor industry for an array of agricultural, shooting and fishing clients, Chilli loves to join the team on photography shoots, at shows and when a new product comes in he will soon sniff it out if it is any good. 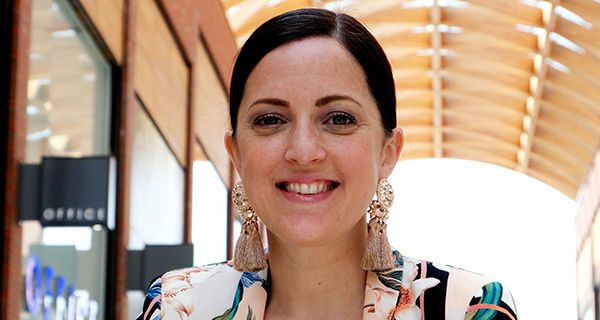 Chilli is the first to help entertain clients, dress up for charity and loves to just generally be part of the team whether it is at an internal production meeting or hosting a strategy day for a client, he will always be keen to be involved. His favourite outfit to date is his reindeer outfit for Christmas jumper day. 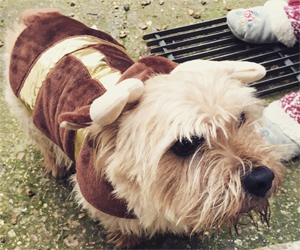 Chilli’s advice to pets planning on working in PR like himself is: “Don’t be afraid of getting creative and putting yourself out there to get your message across, dress up as a reindeer and wag your tail. I love that there is something new happening every day in PR and there is nothing better than being part of a team, especially one that loves to give me treats and lots of hugs”.